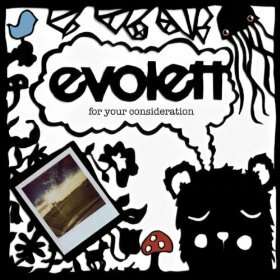 Alabama based Evolett´s debut album "For your consideration" will impress many people where the major part of the songs actually could be released to radio as hit single contenders, female singer Haden Brightwell nail those hooklines like she hasn´t been doing anything else for her entire life. In fact, this album is so good that I think Paramore would be proud over having their name on the album sleeve. First single "The compromise" is just one of many strong tracks that shows this band will put their name on the map of rocknroll on Aug 24th when "For your consideration" is released. Bravo!